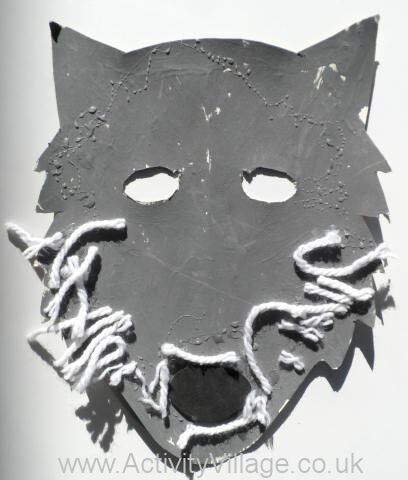 Children can make this fearsome wolf mask for role play (the Three Little Pigs and Little Red Riding Hood spring to mind!) or as part of a wild animal theme. Print our template on to card and cut out. When the paint is dry, glue pieces of wool around the edge to create a shaggy mane. Punch a hole either side of the mask and tie some elastic through, knotting it to fit your child's head.